JPRC080 - 23mm face-to-face head Cackle shell. 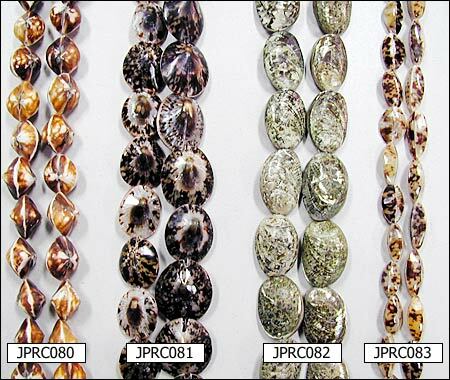 JPRC081 - 32mm double sided Limpit shell. JPRC082 - 32mm double sided Abalon Green shell. JPRC083 - 25mm, 4 sides Tiger Cowry shell.